With a slew of players having seasons worthy of consideration, let's look at how close this race truly is. Houston's James Harden may be the first name that comes to mind due to the scoring tear he has been on. Harden has scored 30 or more points in 29 straight games, bringing his season average up to 36.6 points per game, which leads the NBA by over seven points. Harden is essentially carrying the Rockets in the playoff hunt. Giannis Antetokounmpo is the rising star in this list. The Greek Freak has been a dominant force both in scoring and rebounding, averaging 27 points and 12.5 rebounds per game. The Bucks currently lead the Eastern Conference and could be a legitimate threat for the NBA title. Column for Sunday @PostSports: An MVP candidate w/ Prime Kareem stats. A top-10 all-time point differential. 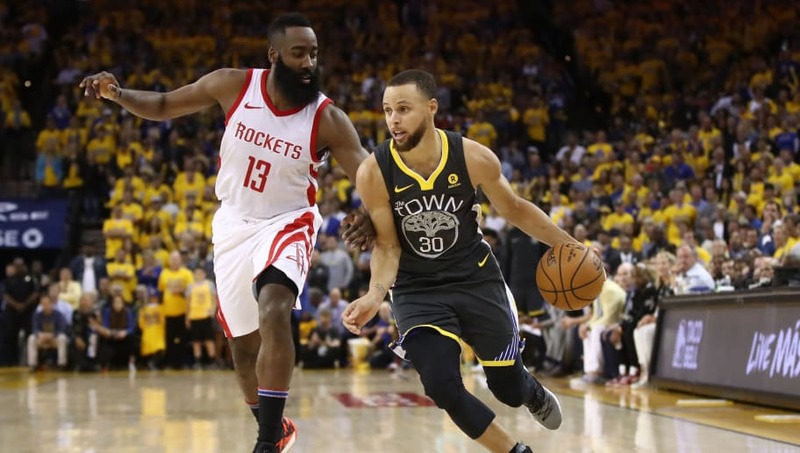 Steph Curry's road to a third league MVP has been overshadowed by the lofty expectations set by the Warriors not being met. Regardless of the team's "disappointing" performance this year, Curry continues to be the steady hand. As long as the Warriors are competing for the title, Curry is competing for the MVP. Paul George is the most surprising candidate this year. The Thunder are currently third in the West and that is due to George's impressive season. Averaging 28.3 points and nearly eight rebounds per game, George is showing how good the Thunder can be when Russel Westbrook isn't doing everything. As long as the Rockets are in a playoff position, Harden is the favorite to win it for the second straight year. However, as the season hits the homestretch, will someone else emerge as the next MVP? It sure looks like it.